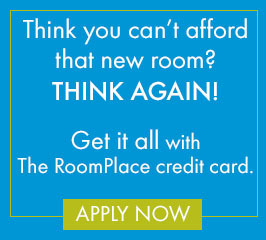 Labor Day may be over, but the savings continue at The RoomPlace. If you lookin g for affordable bedroom furniture or affordable dining room furniture, then visit The RoomPlace this week! We extended our Labor Day sale so that you can spruce up your home with new furniture. EVERYTHING IS ON SALE including dining room furniture, in case you are entertaining friends and family for Thanksgiving this year. Dinettes are a great option for extra seating during the holidays. Receive a FREE BENCH with the purchase of the 5 piece Brandy casual dinette set. 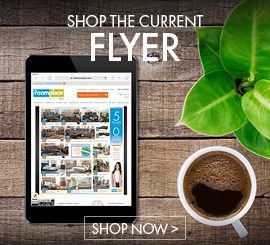 Stop by The RoomPlace today and preview all the different ways to save – from CASH BACK to FREE FURNITURE to room packages with FREE HDTVs… Great savings, great style… The RoomPlace.